A REALTOR .... Not just a licensed real estate salesperson .... As a REALTOR® Kim has chosen to be a member of the National Association of REALTORS® and subscribes to its strict Code of Ethics. How are the schools in Decatur? If you are BUYING A HOME, SELLING A HOME or RENTING A HOME in the Decatur, AL (Morgan County) area ... or anywhere in North Alabama's Tennessee Valley area you owe yourself one phone call to Kim Hallmark @ 256-227-1923! Kim recently served as 2007 President of the Morgan County Association of Realtors. Kim's fellow Realtors put their trust and confidence in her to get the job done .... so can YOU! Kim is a native of Opp, Alabama ... a small town girl from South Alabama or "L A" (Lower Alabama!) Kim graduated in 1984 from the University of Alabama (Tuscaloosa, Al) with a degree in Communications/Marketing and was a member of Phi Mu Sorority, Alpha Zeta chapter. After college Kim lived in Birmingham, AL, Montgomery, AL and Houston, Tx. Kim met Jeff in Birmingham ...married and moved to Decatur in 1991. 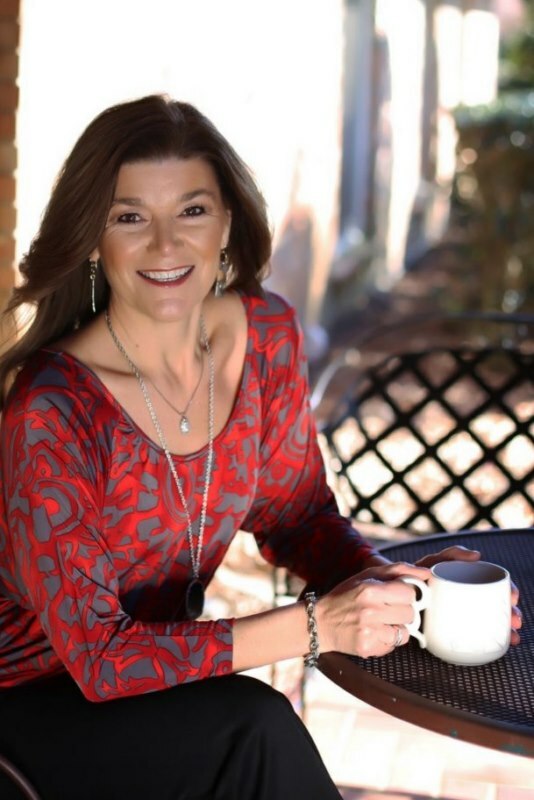 Kim earned her real estate salespersons license in 1985, right after college, while living in Birmingham and working at an advertising agency. After moving to Decatur in '91, and after keeping her license active all those years, Kim finally began her Real Estate career at Fowler, Harris & Glover Properties in Decatur in the summer of 1994 and joined RE/MAX in February 1995. Kim later earned her Broker's license in 2007. JLMC Volunteer at local elementary schools for PACT (Parents and Children Together) a nationally recognized child abuse & neglect prevention agency. JLMC representative on PACT Board of Directors in 2002, Served as President of PACT Board 2004 - 2005. PACT - Parents and Children Together - Morgan Co's child abuse prevention agency. May 10, 2008 Honored as JLMC Sustainer of the Year ! Currently serving as a JLMC community advisor. Nominated for the Morgan County Volunteer Center's 2004 Volunteer of the Year Award. Nation's Volunteer of the Day for Friday, April 7, 2006, Points of Light foundation, Nominated by the MCVC. Serving 2005 - 2009 as a Decatur/Morgan Co Chamber of Commerce Commodore. The Commodores are a group of professional volunteers from various backgrounds that serve as liaisons between the Chamber of Commerce and it's members. Participated in 2007 Chamber research trip to Greenville, SC and currently serving on Downtown Revitalization Task Force. Other interests are anything that involves my 2 teenage neices, scrapbooking and bargain shopping! The Enrichment Center and the Decatur-Morgan County Chamber of Commerce announce the third annual class of the Executive Leadership Conference. The nine-hour program is designed to offer best practices for today's executive. The 21 attendees were chosen from among the area's top leaders. They include: Cindy Gray of Gray Research; Vanessa Walls of Decatur General Hospital; Steven Blakely of Wachovia Bank; Reese Hamn of First American Bank; Jim Swindell of Calhoun Community College; Kathy Cagle of Tennessee Valley Rehabilitation Center; Lana McDonald of Marriott Shoals Hotel & Spa; Charles Thompson of International Paper; Jim Page of the Decatur-Morgan County Chamber of Commerce; Larry Sullivan of Decatur General Hospital; Keith Magee of Barge, Waggoner, Sumner & Cannon; Kristy Terry of Toray Fluorofibers American; Michael Scott of The Enrichment Center; Angela Wilson of Solutia; Richard Thompson of Reliance Financial Group; Todd Russell of the city of Decatur; Tammy Lott of Redstone Federal Credit Union; Yvette Evans of Decatur City Board of Education; Melanie Maples of Decatur City Schools; Kelly Moates of The Enrichment Center; and KIM HALLMARK of Re/Max of Decatur. Eight Morgan County groups and individuals received national Points of Light awards in the past two months for their ongoing volunteerism. The Volunteer Center of Morgan County presented their award certificates Tuesday. Nation's top volunteers- In 1998, the Points of Light Foundation began honoring the nation's top volunteers by designating a single day in the person's name. Morgan County residents have received 28 of the state's 64 recipients to date. Kim Hallmark, April 7, 2006. The real estate agent and member of the Junior League of Morgan County has served on the Parents and Children Together board since 2002 and is president this year. As a Decatur Jaycee, she was one of the original organizers of Riverfest and chaired the Decatur Christmas parade for eight years. The Points of Light Foundation will recognize Decatur's Kim Hallmark as its national volunteer of the day Friday. The award honors individuals and volunteer groups that have made a commitment to connect Americans through service to help meet critical needs in their communities. Each weekday, one volunteer or volunteer effort in the country receives a Daily Point of Light Award. Nominated by the Junior League of Morgan County, the award recognizes Hallmark's contributions to Parents and Children Together (PACT) while it dealt with funding shortages 2003-04, her involvement with Decatur Jaycees organizing Riverfest and the Christmas parades, as well as working with Decatur General Foundation's Gala. Hallmark's name will appear as Nation's Volunteer of the Day on the Web site www.pointsoflight.org.